If you’ve ever thought to yourself, “Oh what I would give to travel to Europe!! !” Immediately followed by a grimace just thinking of the costs, I don’t blame you. We all know that I swear by Travel Hacking and that when combined with budget travel, we almost always travel for as cheap as possible, but if that method of free flights and hotels doesn’t work for you, for whatever reason, there just might be hope upon the horizon for cheap airfare to Europe after all. Just one of the many things that I loved about living in Europe were the budget airlines. People would always joke with me when I’d say (and mean it) that I don’t buy clothes over ten dollars, I cut Andy’s hair myself and do other things just to pinch a few pennies here and there, all for the sake of travel. But let’s be serious, that $12 men’s haircut? That could literally be a RyanAir flight!!! So, yeah! I take my penny pinching seriously! So when Norwegian Air announced today that they officially are opening up routes to Europe for only $65, I quickly did some bad math in my head about what I could not spend in order to “afford” a $65 flight all the way from the US to Europe. I still haven’t gotten a cell phone since moving back to the US several months ago. Just one month’s cell phone bill alone would get me to Europe with Norwegian Air! I’ve been gym shopping around and for Andy, Me and drop in child-watch fees for Lil B, one month’s membership is over $90! Who needs to be in shape anyway? I’ll just head to Europe instead. I was actually going to do a “Treat Yo Self” day this weekend and go out to breakfast (easily $10+) and then get a massage ($55+tip). Hmmm, I think I’d actually be less stressed if I was just in Europe, don’t you think? Really, the possibilities are endless on how to save a measly 70 bucks and you don’t even need to get creative, either! Planning a Trip To Europe? If you’ve ever flown a budget airline, then really these come to absolutely no surprise at all to you. But when talking budget airlines, you can forego any notions of luxury what so ever. No In-Flight Entertainment. But is this REALLY that big of a deal anymore? Doesn’t everyone own a device that they can load some shows or music on before taking off? Or, God forbid, just read an actual book. Taxes and Fees. I’ve never actually flown Norwegian surprisingly, but most budget airlines get you with the taxes and fees. Read every fine print detail; don’t pay for bags, don’t splurge for a reserved seat, have your boarding pass printed out before arriving at the airport, know the carry on baggage weight limit, etc. I’m assuming that it will be similar to RyanAir, so you can check out our RyanAir FAQ Complete Guide to help you know what to look for when booking your Norwegian ticket. Select Routes and Locations. Norwegian Air’s cheap flights may not come and go from all airports. If you aren’t at any of the specified airports, then you can find the cheapest flight using GoogleFlights.Com, then get the Norwegian Air tickets from there, you could still be saving HUNDREDS of dollars compared to the the thousands of dollars that it can often cost in high season to get to Europe. You can then do the same thing on the other end in Europe. If there are no destinations that you were wanting that they are flying to, use that as a connection and then find another cheap flight to get you to your intended destination (since budget airlines are WAY easier to find options for once in Europe). If Ireland isn’t on your list of places to visit (it should be! Here’s a week’s road trip itinerary in Ireland to get you inspired just in case), buy another super cheap ticket (again, use GoogleFlights to see what is the cheapest for your dates/locations) to where you want to go within Europe. Limited Time Deal. They have not announced when the $65 fares will expire, as it is the new, “introductory price,” but the good news is that they still have $100 flights!! So, really, that isn’t too much of a catch, considering you typically can’t fly across the US for less than $100, let alone to Europe! I am so excited that Norwegian is coming here! I had heard talk about these crazy low prices, and am thrilled that they’re becoming a reality. Good tips about bringing food and entertainment. It’s all worth it! So true budget airlines and luxury don’t go together. And I personally feel I can forgo luxury in aircraft. This seems such a good deal in Europe, I hope it lasts. Awesome post! Norwegian just started a route to Barcelona – which I’m especially excited about! And I agree about the in-flight entertainment. I have a charger and device, and always upload my favorite movies before a flight, haha. Wow, that’s crazy pricing. I’ve never flown or heard of Norwegian, but at those prices, I am willing to take the gamble. Good to know tips about the entertainment and food. Agree, better to bring my own food and entertainment. Will certainly check them out. Thanks for the heads up! I know that Ireland is a very popular destination and this is a great travel hack. I agree, the inflight entertainment is really not that big of a deal, as many of us have our own right along with us. Any flight for $100 is a GREAT deal! There’s a definite benefit to living on the eastern seaboard with these fare opportunities! It’s always so much more expensive from the west coast or Canada. I would jump at the chance to grab these deals if I could! I would be totally happy to snap up a flight to Europe for $70 … really, BYO food and no in flight entertainment aren’t big deal breakers when we’ve got devices like iPads and laptops, and it’s very easy to grab sandwiches and snacks at the airport before you fly What an epic price! Hello Leanna, that sounds like a good news. I use to pay 500 euros and up to go to New york with Delta. I guess 65 euros ia a promotion price and will exceed in a normal time. As you say I would check Taxes and bring my Plane Picnic with me to not starve in the air. Good blog, cheers. Great content, keep it up! 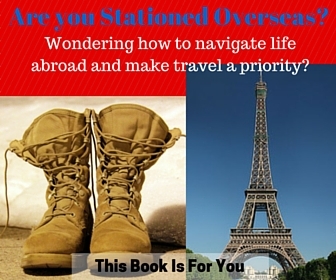 I heard you on Expat chat and love all the info on making travel affordable. ← Hohenfels Germany: What can it offer you?